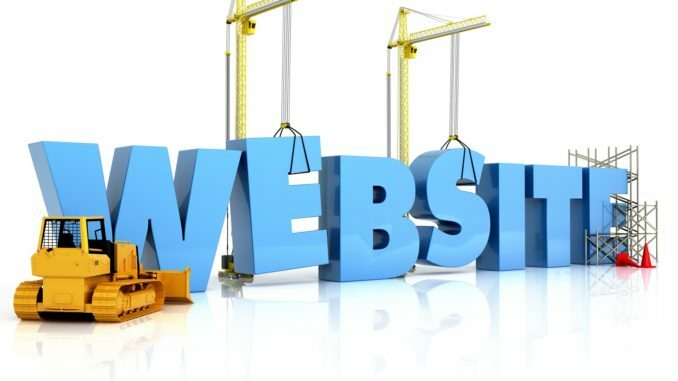 How to build a successful website refers to creating a successful website by establishing a location connected to the Internet that maintains a group of web pages and using those pages to achieve some form of success; e.g. popularity, distinction, or profit. No matter what objective you want to accomplish through your website, the way in which it’s built can have a profound effect on the success of the site. The way you fashion the layout of pages, construct the home page, or even the content you add to each document, can cause a website to either succeed or fail triumphantly. Needless to say, planning the site’s construction should be your top priority. It’s important to decide in advance the domain name, web host, and the content you intend on publishing to the site. This webpage provides detailed information on the subject of web design and development. It’s aim is to help you bridge the gap between knowing how to build a website and recognizing the most important steps involved in building a successful website. Yes, well all know what a website is. It’s a collection of hypertext documents on the World Wide Web. It consists of a home page, which serves as the introductory page and table of contents for the website. If you think about it, a website is designed much like a book. And if you study some of the most successful Internet sites, you’ll realize that they way in which their built isn’t much different then the way you’d design and make your own book. The first and most important piece of information I can give you is to either create your website in a similar way you’d make a book or examine the most accomplished sites on the Net and use them as a model to build your own site. Make a detailed plan that outlines your site’s purpose and objectives. Start by asking yourself the question ‘what is my target audience?’. Recognizing your target audience makes the process of planning and designing a successful website a whole lot easier. Planning enables you to decide upon the look and functioning of your website before it’s published to the World Wide Web. It also makes it possible to conceptualize how users will navigate through the site’s architecture and whether or not they will succeed in achieving their desired aim. Produce a blueprint if you plan to build a large website, such as a forum or blog with a wide range of topics. Creating a design plan is an effective way to map out the organization of subjects and ensures visitors successfully locate and digest your site’s information. Constructing a successful website is about putting parts of a website together in a particular fashion that both improves usability and enhances its look. It’s also the part novice web designers find most intimidating. The good news: The market is abound with web builder programs, software, and platforms that help make setting up an award-winning website in just a few clicks. I recommend WordPress for those who intend to build a blog, corporate, or business website. WordPress is a free, online website creation tool that allows users to assemble a website effortlessly and efficiently. It offers thousands of customizable themes that make it possible to create site designs to suit individual needs, the majority of which are built to work with popular drag-and-drop page builder widgets. You will need to select a web host before you can set up your site. A web host provides storage space for a website on a server so it can be accessed via Internet. Pick out a host configured for WordPress. Hosting companies setup for WordPress use a one-click-install feature that makes it easy to get a site up and running fast. Choose a popular host. There’s a reason why some hosting services are liked and admired by many people. It’s usually because of the free add-on features included with a hosting plan, such as a free domain name, unlimited storage and bandwidth, or the ability to create and host an infinite number of domains on a single shared hosting account. A domain name is more than just a part of a network address that identifies the name of a website, it contains its most important keywords in it too. Keywords are informative words used by search engines to indicate the subject matter of a website or document. Virtually every website having achieved success, in terms of wealth or fame, all have one thing in common—they create and publish engaging content users find attractive. Before you create content, ask yourself the question ‘who would want to visit my site and what do I want them to do?’. Focus on creating content that defines the site’s purpose. If the purpose of the site is to teach someone how to build a website, aim for a length of 1000 words per page. Content includes all forms of literature; e.g. videos, blog posts, media links, and more—use them all! Video content helps build relationships, not just a financial gain. The purpose of relationship marketing is to build loyalty and strengthens your sites brand or image. The goal is to make your website the first one a visitor thinks about when they need what you have. Once you’ve purchased web hosting and domain name, login to your hosting account and set the domain name to fully hosted. Use the one-click-install feature to upload WordPress content management system. Then sign-in to the WordPress panel and start building the site’s foundation, structure and design. Lastly, create content that defines the site’s aim or purpose. The word successful is defined as; accomplishing an aim or purpose or having achieved distinction, popularity, or profit. But if you ask me, using a website to obtain a financial advantage is my number one goal. The good news: There are thousands of ways to make money with a website. And in most cases, you don’t have to spend a dime to make money online. Just convert your expert skills into the form of currency, such as selling pay-to-watch tutorials on your website that teach others your professional skills. There are other real ways to make money online, such as becoming an Amazon affiliate promoter, create and sell your own ebooks, or monetize the content on your pages with Google AdSense. You can even sell advertisement space. Don’t kid yourself, people are earning a full-time income from home with a website. Does Dieting Make People Gain Fat? Great tips! Can you help me to make this website https://www.jetskirepairmanual.com/yamaha-waverunner-repair-manual/ be more successful?